I am not sure what the "official" reason is for the change, but I can surmise a few things. I am going to look into it more. Taking a guess, the bottom looks the same as the E-57, E-58, E-68, E-78 etc, so the part is a current part. 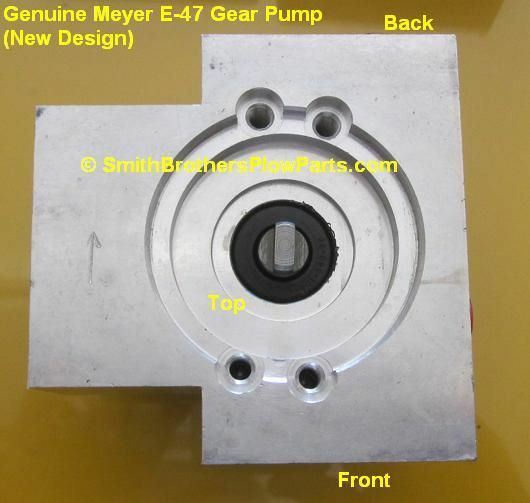 The Pump relief valve is the same as the E-57, E-58, etc. Again, a current part. was easier to have the top portion made from a block of billet aluminum. It also puts out 2000psi like the E-57,E-58, etc, since it uses the same pre-set Pump Relief valve. 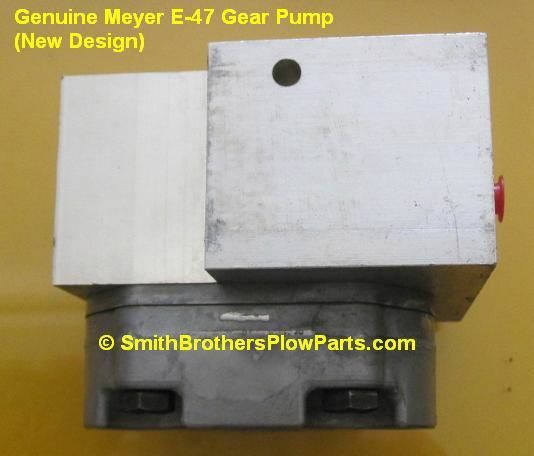 This is the actual pump that sits under the motor. The motor is held onto this part with 2 screws. This is NOT a complete E-47 assembly. 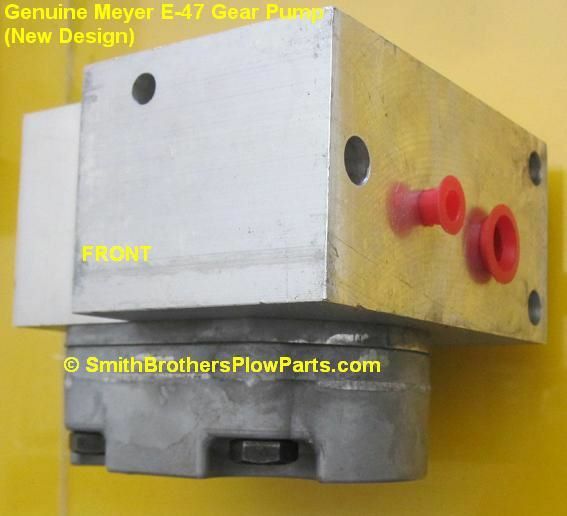 The Pump is held on the base with 3 nuts, on 3 studs. Includes 2 O Rings necessary to install it. This is the actual pump that sits under the motor. The motor is held onto this part with 2 screws. This is NOT a complete E-47 assembly. 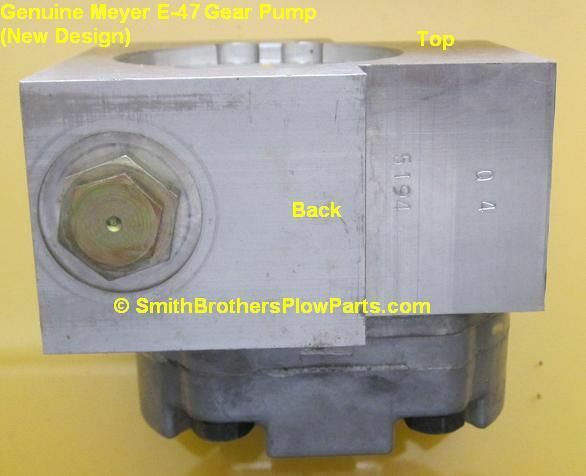 The Pump is held on the base with 3 nuts, on 3 studs.